Today we will look at the website of the Historisch Centrum Overijssel (HCO), the provincial archive of the province Overijssel. Several small databases with records from Overijssel, each with their own search interface. The most interesting databases are the census records from the 1748 census, emigration records (1847-1908) and the image library. There is a summary page in English (click on English in the top right corner), but the website is not translated yet. The search interfaces are only available in Dutch. The English summary states that more pages will become available in English, starting at the end of June 2007 - apparently they are behind schedule. There is a search box on the left of the page, but that is for searching the website itself, and not the databases. On the English page, there is a list of databases, you have to choose one of these first (note that some links, like Death certificates, redirect to Genlias). Fill in all or some of the search fields and press Zoeken (Search). Different databases have different search fields, the most important fields are achternaam (surname), voornaam (first name), plaats (place), periode (year from/to), gemeente (municipality), vrije tekst (text for full text search). The default search method is is gelijk aan (exact match), other options are begint met (starts with), bevat (contains), and klinkt als (sounds like). Census records and farm protocols are not databases but documents. You will need Adobe Acrobat reader to read them. The main website search (search box on the left of the page) will also search these documents. You can also download them to your computer and use the built-in search of Adobe Acrobat reader. The index of the image library contains many items that are not on the website. For some reason, these are shown first, so you may have to browse past lots of Klik hier voor details (Click for details) messages to find the photos. Be specific in your search terms, when you search for e.g. Hengelo the first 500 items are without an image, and only 500 results are displayed, so you will not find any images. Contact the HCO if you want to use the images for anything but personal use. All information is currently available free of charge. HCO is working on a single search interface for all databases. HCO also announced a part of the website will be available in English, but they seem to be behind schedule. I could not find any recent announcements about their future plans for the online databases. 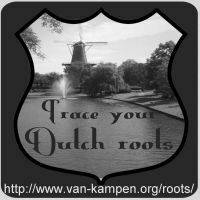 There is useful information in the databases, and if your ancestors lived in Overijssel you will want to use this site. However, it seems ease of use was not a high priority when creating this website. The site is hard to navigate, and it is difficult to find the information you are looking for. Search interfaces are inconsistent. In image searches, you often find only items that are not on the website, and images that are on the website are hard to find. There is only one page in English, and that page is incomplete (the paragraphs at the bottom have a header, but are yet to be written) and outdated. There is a lot of room for improvement here.